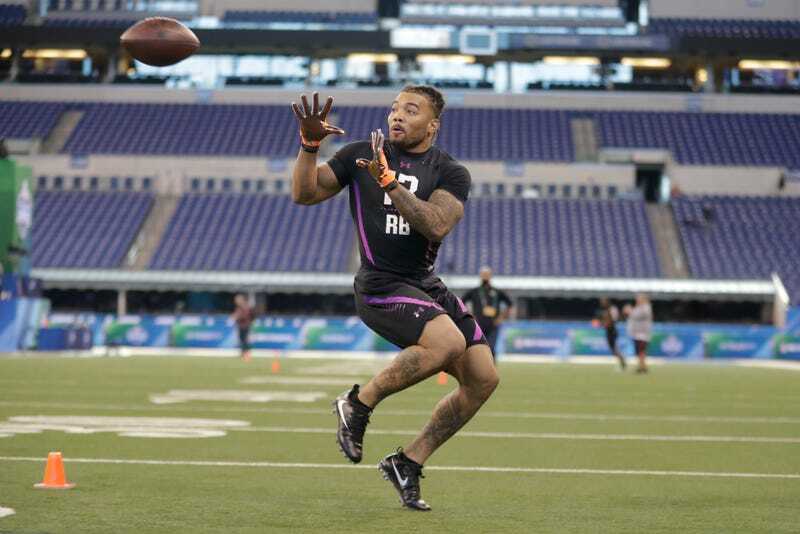 Former LSU running back Derrius Guice said he was asked by one NFL team at last week’s combine whether he liked men, and asked by another team if his mother was a prostitute. There’s a question of whether that first one is even legal, but both are, by any measure—and as already admitted by the league office—seriously fucked up. You’d think it would be hard to find someone to defend questions like those! You underestimate Will Cain’s jackassery. Cain—a self-proclaimed radical truth-teller who denied global warming and made himself available to defend Donald Trump’s anti-Muslim immigration ban on ESPN (Why would that have ever been a subject of debate on ESPN? I want to die) and who thinks it’s athletes who choose not to visit the Trump White House who are truly “divisive”—is here to show you how much smarter he is than everyone else, and explain to you, moron viewer, the totally valid reason an employer would ask a prospective employee if he’s gay. Cain, who is basically Clay Travis if he were a little dumber but also still had a job, sums up his logic thus: Teams are asking intentionally offensive questions just see what reaction they get from players. It should surprise no one that Will Cain thinks it’s perfectly normal and good business to troll. For a cleanser, here’s some good ESPNers explaining why this is such a big deal. “Looking into the matter.” What lengthy investigation could possibly be occurring here? If the NFL wanted, it could find out within 10 minutes what teams asked these questions and fine them. Two years ago, when the Falcons asked Eli Apple if he was gay, team employees were eventually forced to undergo a sensitivity training seminar. As Mike Florio pointed out, that clearly wasn’t a deterrent to prevent other teams from asking the question again. De Smith says teams that ask these questions should be banned from the combine. If the NFL actually wants to stop this from happening, it wouldn’t be hard to do.